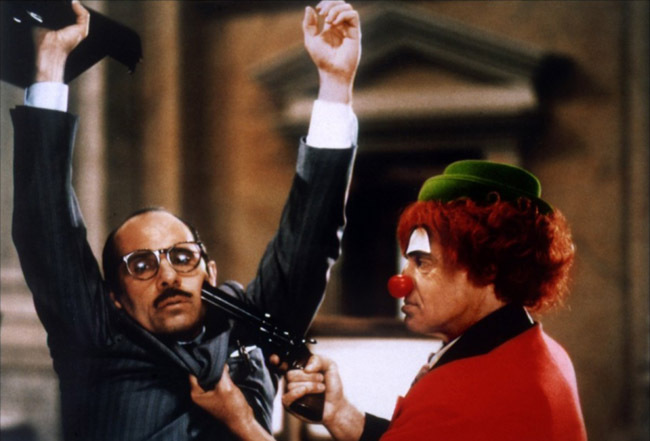 Enough clowning around, this blog hold up is over! Whoa! AND WE ARE BACK. Apologies for the huuugggeee delay in posts dear reader. All I can say is that life got busy, intervened, stayed over, made itself comfortable and wouldn’t leave until we withheld its entire undie collection (somewhat true story in that there were undies involved, but I digress). But after a bit of a hold up, I can bring you up to speed with our historic H date! I’m a bit of a fan of history, and I think I can blame that on my high school VCE history teacher Mr Chandra. The only thing Mr Chandra loved more than his beloved Brazilian soccer team – despite the fact he hailed from Fiji – was the peaks and troughs of history. I had the fortune of having him guide me during Year 11 through “History: Revolutions”, a thoroughly enjoyable romp through the finer points of the French and Russian revolutions. The characters, the personality, the stories, the lessons… I was hooked! Melbourne is certainly a place steeped in history with all of the above qualities, so I thought it was appropriate we dedicate H Date to exploring some of that. (Editors note: this date actually took place a number of months ago, hence the wintery looking photos. Again, I humbly beg forgiveness for the hold up). 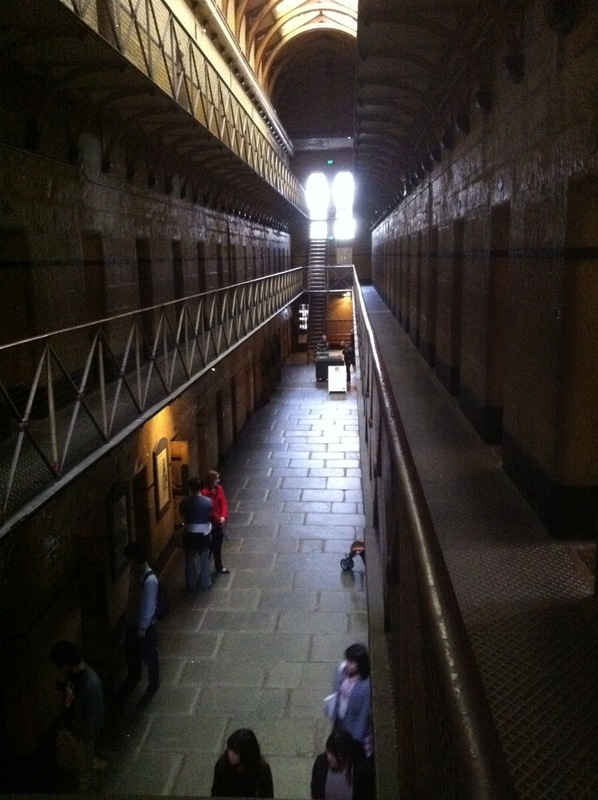 First stop on the journey, the Old Melbourne Gaol. Is it ironic that the initials stand for OMG?!?! 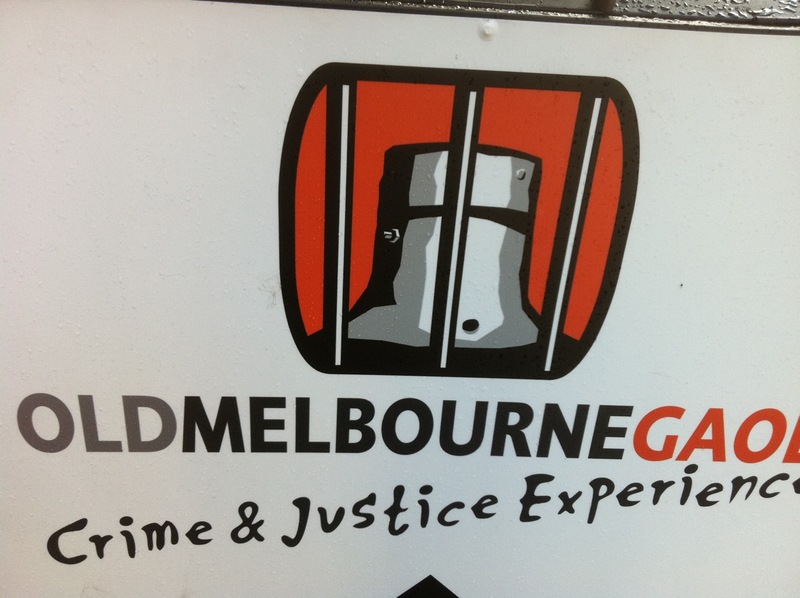 Despite living just down the road, neither of us had been to the Gaol before now, a combination of a lack of time and also the overriding sense of “…it’s only a gaol.” And although on arrival you’re confronted with the above sign featuring the rather amusing moniker of “OMG: the Crime and Justice Experience” (which sounds a little too much like a rock eisteddfod performance), things inside are handled with a lot more, shall we say, gravitas. The stories that guide you through the compound are full on, like an ancient and slightly less cinematic Australian Story. It’s also a haven for photographers, with lots of natural light seeping in and bouncing off the aged brickwork. 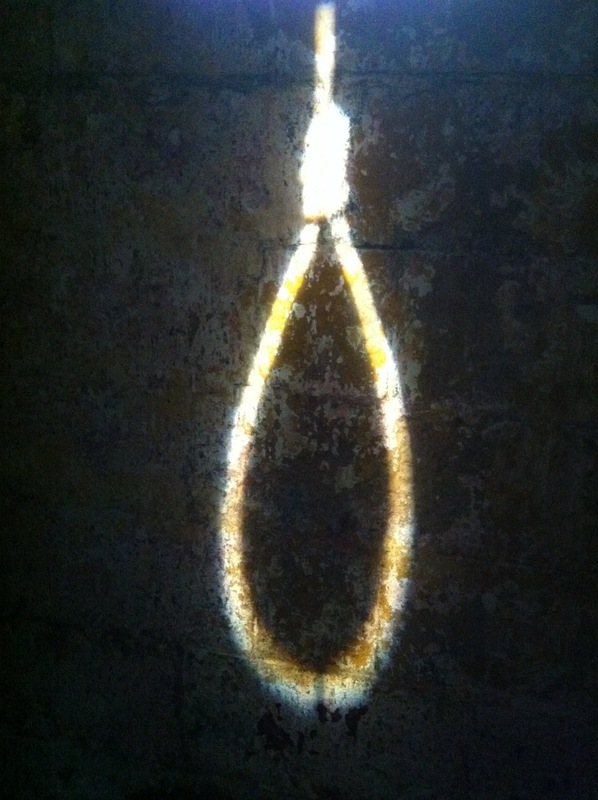 And of course, I got to hang out (see what I did there?) 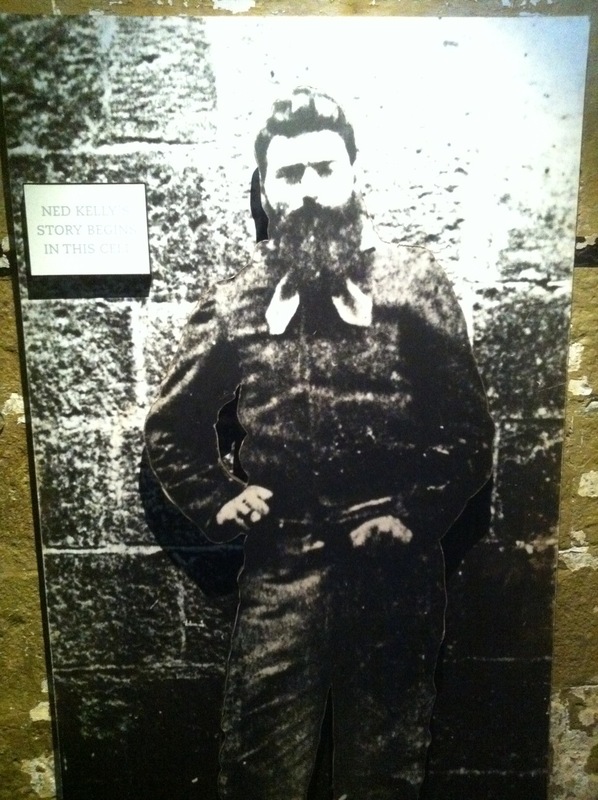 with Mr Kelly, or at least some of the artifacts linked to him. No stranger to the odd hold up, he obviously sympathised with my issues in getting this blog to you, so there you go. 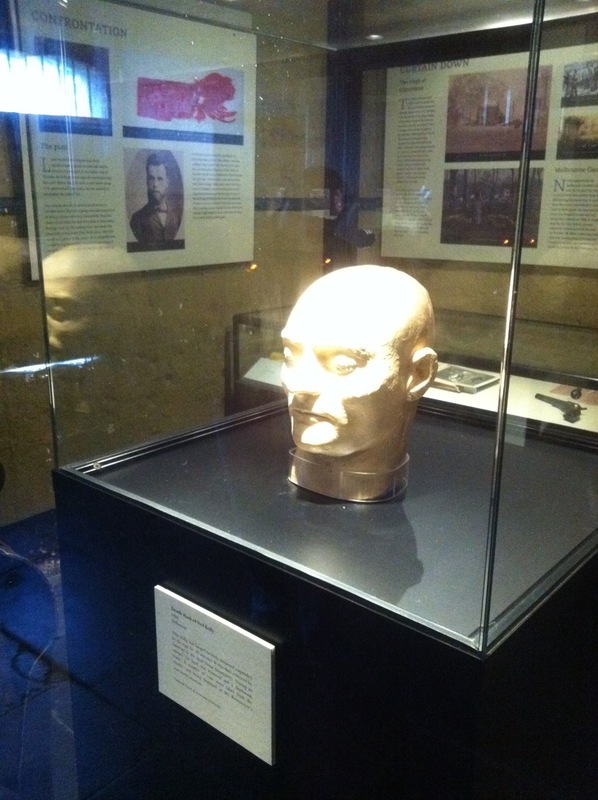 Perhaps the most humbling exhibit in the entire place, Mr Kelly's "deathmask"
Sadly we didn’t get a chance to take part in the interactive, actor-driven court experiences next door, but I am a caged bird and longed to be free lunch called, and we still had to make another stop over on our history tour of Melbourne. Where else, but the war memorial. 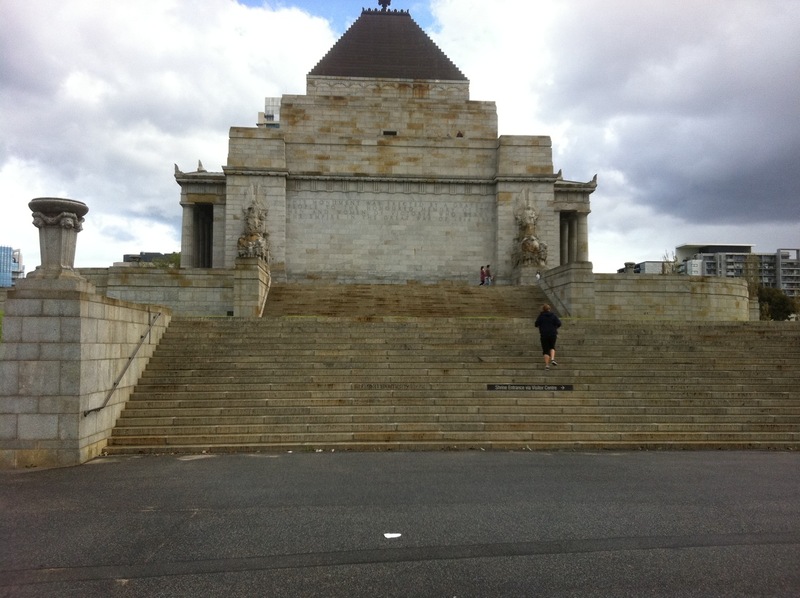 I last went to the memorial as part of a school excursion in year 7 (yes, as you may have picked up, I was one of the few people who actually enjoyed my schooling. Go figure. Square). 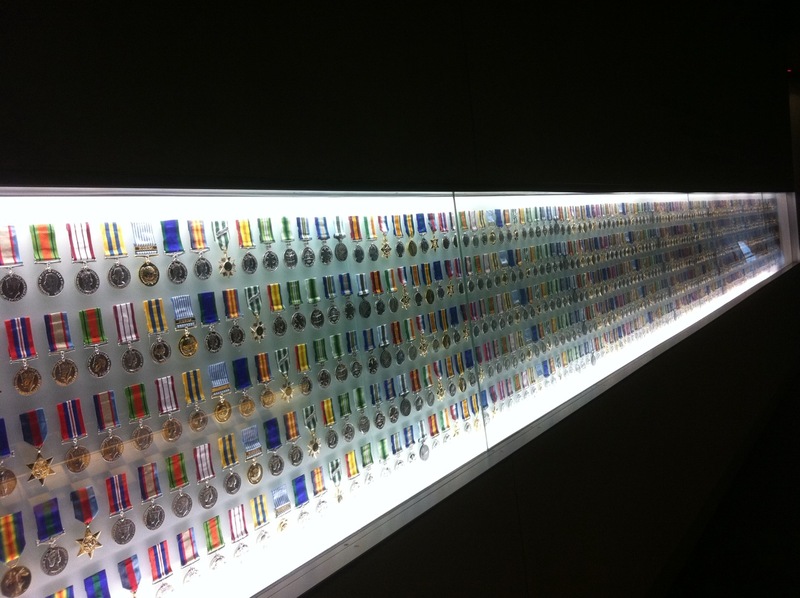 But in the intervening years, it’s undergone quite the overhaul, with a much improved entry featuring an amazing collection of medals, each one acting as a sign post in Australia’s history of involvement in armed conflict. 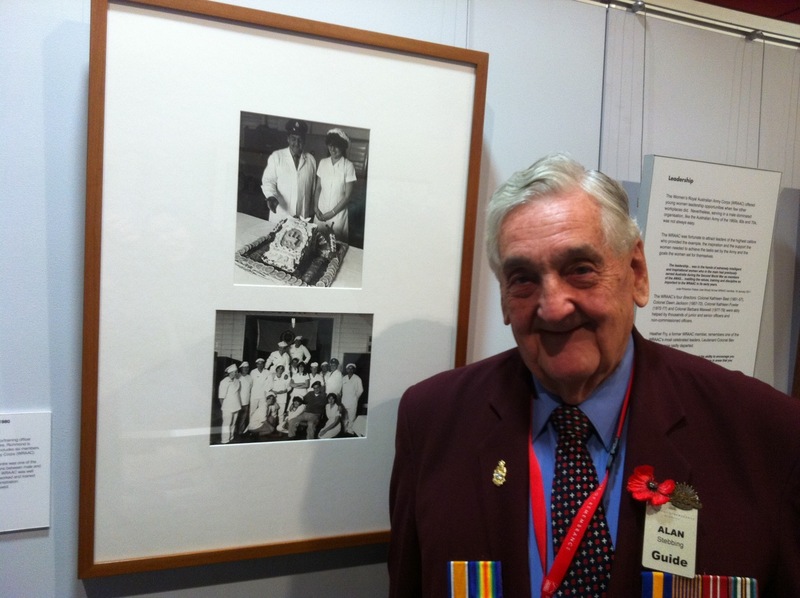 Cpt Alan Stebbing, the original Military MasterChef judge. No lame George Colombaris puns here! The 3rd Division Training Centre was one of the great success stories as far as relations between male and female soldiers together. The Women’s Royal Australian Army Corps was well represented at the centre and many worked and trained there as cooks, stewards and administration. The atmosphere was friendly and relaxed (editors note: completely unlike MasterChef, just ask Ellie). 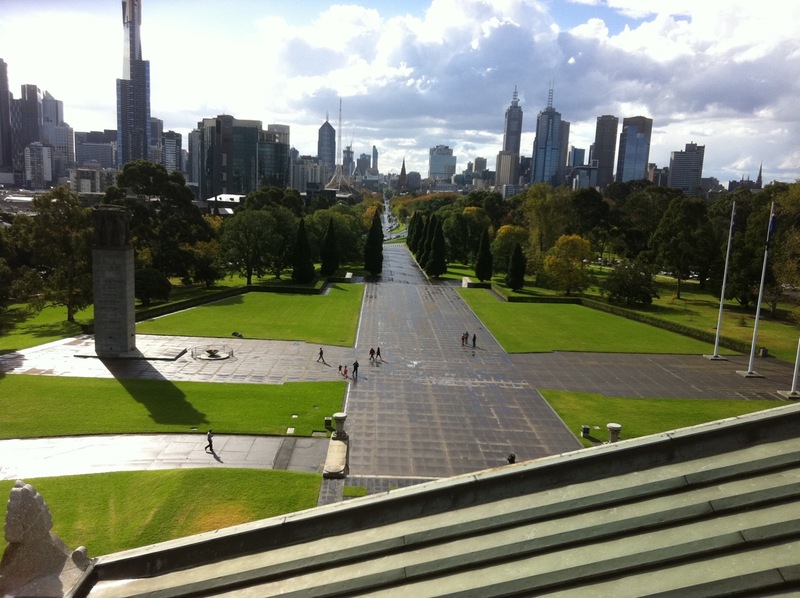 The thing I’ve always loved about the war memorial is the view, and right on cue, Melbourne turned on the sun. Taking advantage of the fickle Melbourne weather is something us locals have had practice in – a colleague at work once likened it to a “bad relationship; you endure all the hard times because the good times are so awesome!” – we wandered into the botanical gardens. And that, dear reader, is when we come across surprise stop three on our H Date, the DVD extras as it were, to our feature presentation. 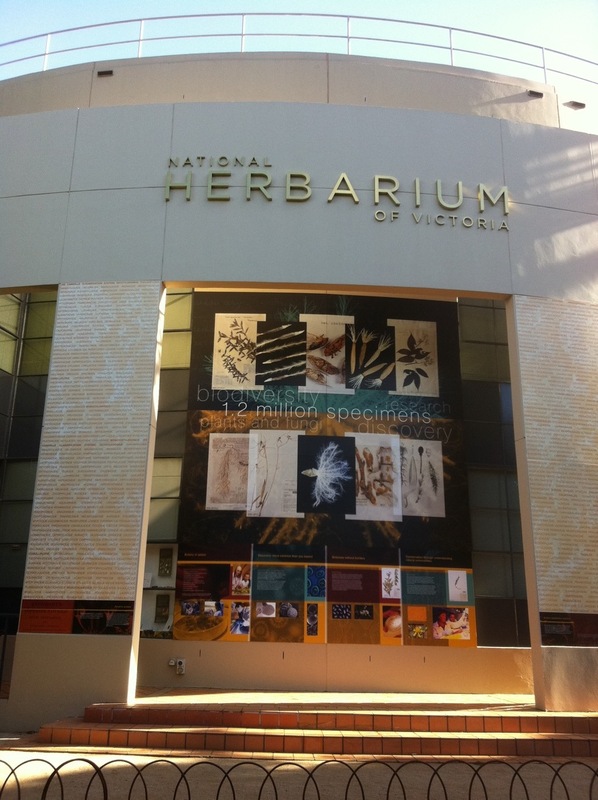 One can only speculate what kind of seeds, plant matter and, yes, ‘erbs, are housed in the National Herbarium of Australia. Needless to say, the structure is huge. It was about this time I totally spilled coffee all over myself, causing much hilarity, which is perhaps as good a note as any to finish on. Apologies again dear reader for the hold up, we hope that Date I will be with you much sooner than this! ← Gee whizz golly gosh, its game on for G date! I really love what you are doing here. Such a great idea, and it looks like lots of fun! ...is about weddings. Kind of. Weddings are expensive, expansive, time consuming, frustrating and all too often fleeting. But why should the process be boring? Join David & Theresa as they count down the 12 months before their special day with 1 DATE every 2 WEEKS, each one themed after a letter in the alphabet. Gee whizz golly gosh, its game on for G date!